You’ve heard of STEM education, but have you heard of STEAM? It’s still Science, Technology, Engineering, and Mathematics- with Art now in the mix. Art is proven just as important for developmental growth as the rest. 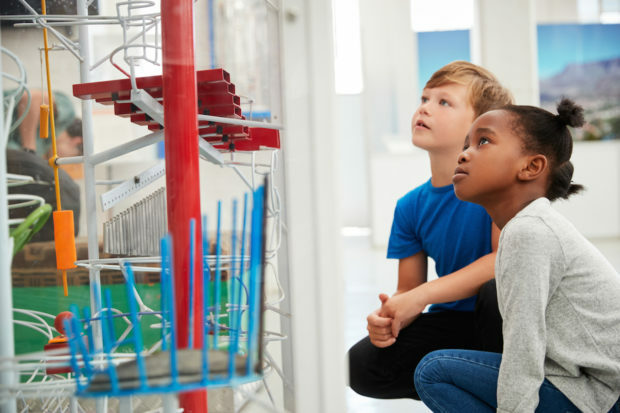 In Aurora, Illinois there is an interactive STEAM museum which inspires education and imagination and provides fun for the whole family. 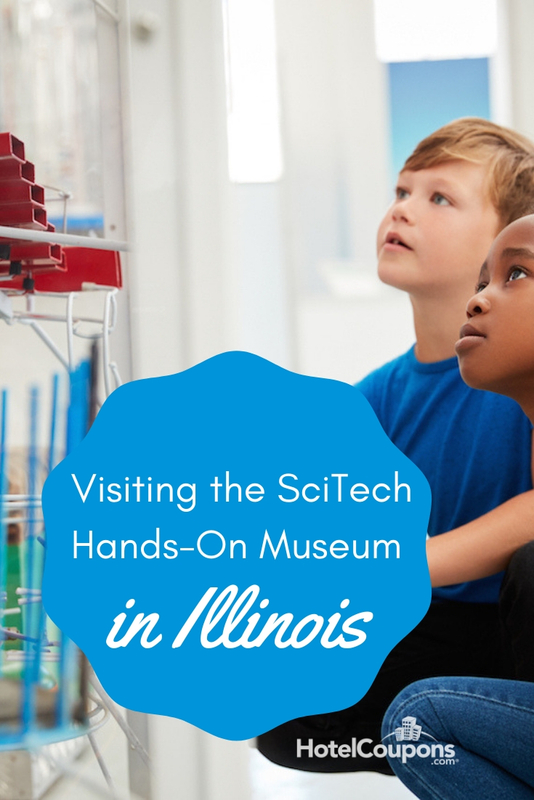 Are you ready to visit The SciTech Hands-On Museum? You will be after this post. The Sci-Tech museum began in 1988 with Ernest Malamud’s dream for the future. He wanted to create a place where young and old minds alike could go to explore, discover, create and conduct their own experiments. And he did it. He achieved his dream. The museum just recently celebrated its 30th birthday! It’s a 30,000 square foot imagination station located inside of an old post office in downtown Aurora on Stolp Island. It’s one of many historic buildings in the area. In fact, the whole island is listed on the National Register of Historic Places. The exhibits are always changing to keep the fun new and exciting. Some examples: Experience what 78 mph winds would feel like in a wild weather exhibit, imagine what the year 2025 will be like, explore your body’s different functions with a focus on a healthy heart and skeletal system, discover chromatography with bubbles. (Find out what chromatography even means!) And so much more. Today At @scitechhandsonmuseum we are hosting a First LEGO League scrimmaged 11 teams with over 200 people are having a BLAST! Because there are many field trip visitors during the morning hours- consider planning your visit during an afternoon when there is less foot traffic. Or coming during a Friday evening when the hours are extended. Summer is a great time to visit also because the museum is close in proximity to Fox River. So, guests are able to see local birds and wildlife from the museum parking lot. The museum is about 45 miles west of downtown Chicago and five miles from Interstate 88. Hours of operation are Sunday, Monday- Closed, Tuesday, Wednesday, Thursday and Saturday- 10 am-5pm, and Friday, 10am-8pm. Admission is $10 for the public, ages 4-59, free for 3 and under, and $8 for seniors and Military. Parking is free and first-come, first-serve.